18K yellow gold case 38.0 x 30.0 mm. Circular grained crown set with the faceted sapphire. Silver guilloche dial. Painted black roman numerals. Sword shaped blue hands. Secret Cartier signature at VII. Black crocodile strap with 18K yellow gold buckle. 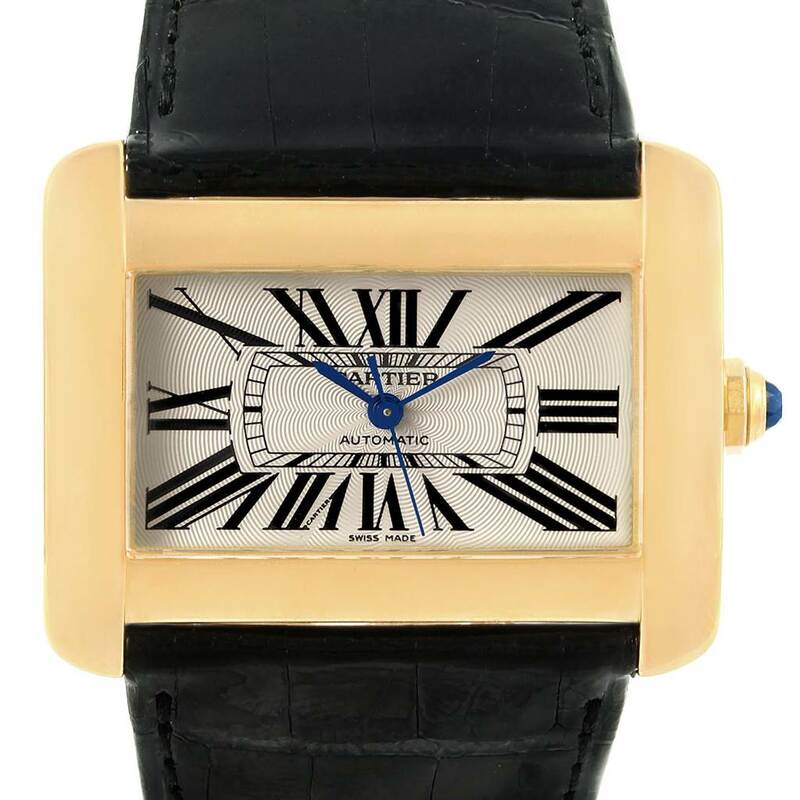 Cartier Tank Divan Large Yellow Gold Black Strap Watch W6300856. Automatic self-winding movement. 18K yellow gold case 38.0 x 30.0 mm. Circular grained crown set with the faceted sapphire. 18K yellow gold fixed bezel. Scratch resistant sapphire crystal. Silver guilloche dial. Painted black roman numerals. Sword shaped blue hands. Secret Cartier signature at VII. Black crocodile strap with 18K yellow gold buckle.